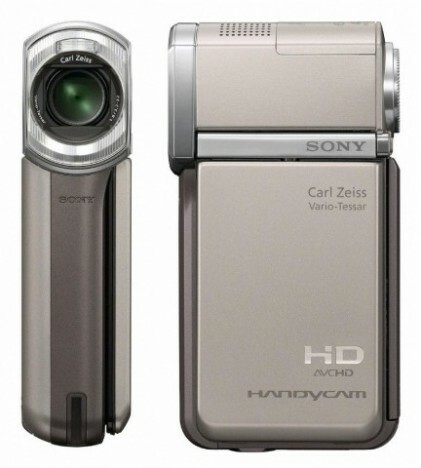 Sony had just unveiled their latest high definition camcorder the HDR-TG5V Handycam in a brand new durable titanium body. This powerful and sleek camcorder is feature-compact with built in GPS, NAVTEQ, Smile Shutter Technology and many others. Utilizing the new spontaneous 2.7-inch touch screen LCD panel, user will be able to take full control of these features to recreate their travel experiences to be shared with family and friends. The HDR-TG5V camcorder which captures 1920×1080 HD video and 4 megapixel photos in its 16GB of flash memory is capable of holding more than 6 hours of recording. 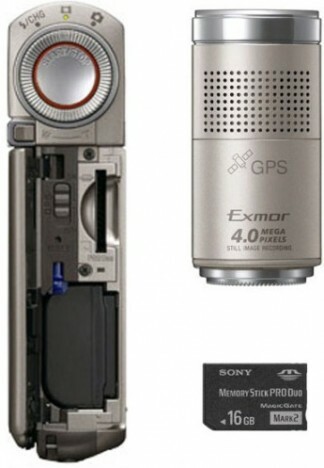 For extra recording time, the Handycam can also capture content into a Sony Memory Stick PRO Duo. With the built in GPS and NAVTEQ technology, users can geographically tagged their travel videos and photos allowing detail documentation of destinations on a map. Geo-tagged content is marked by a push pin at each shot location and can be played back on the camcorder map index display or in a PC using the included Picture Motion Browser software. 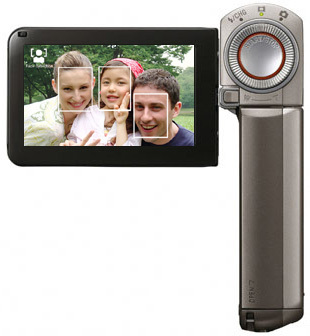 The Sony HDR- TG5V Handycam also comes with the Smile Shutter technology which automatically snaps quality photos when everyone starts smiling. And with the additional Face Detection technology, you can be sure your subject will always stay in focus, as the camcorder automatically makes corrections to the focus, exposure and color control, for that perfect shot, every time. Retailing in May 2009 at around $1000.